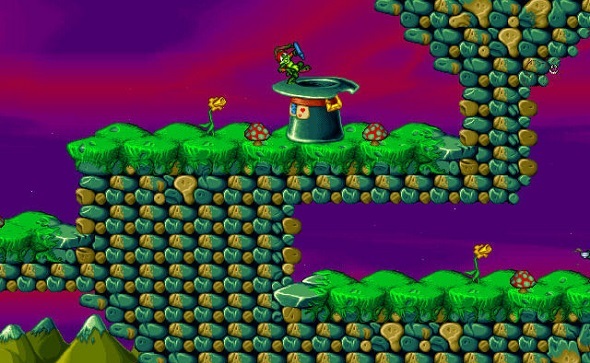 Jazz Jackrabbit 2, one of the goofy, rabbit-centric platformers that helped put Epic MegaGames on the map, turns 20 years old this week and GOG and Epic are celebrating along with Jazz2Online, the green rabbit’s still-thriving fan club. Here’s our list of other PC classics still worth playing today. This week you can pick up both of the original games at 25% the usual $9.99 price tag from GOG. When I played Jazz 2 back in the 1990s, online multiplayer was still over the horizon. But Jazz 2 was remarkably forward-thinking: it included a fully-featured level editor that allowed players to create custom single- and multiplayer stages, which Jazz2Online members have been building and sharing for decades now. Now there’s a fully-featured script editor as well as countless custom tilesets avaliable for it. The Jazz Jackrabbit 2 Birthday Hullabaloo highlights 500 of the best community-created stages for the game, and it comes with the chance to win a physical jewel-case copy of Jazz Jackrabbit 2, signed by Arjan Brussee, one of the game’s original coders and creator of its Capture the Flag mode. Head over to GOG.com for the deals, or check out this thread on Jazz2Online for details on how to enter the drawing – you’ll just have to reply with a favorite memory of Jazz, or create something Jazz-related to qualify.